Are you an actor, director or theatre teacher who wants to use the power of theatre to help others? Join one of our Shakespeare for Social Justice Instructor Training Workshops to learn about using Drama Therapy and Shakespeare to open minds and hearts. 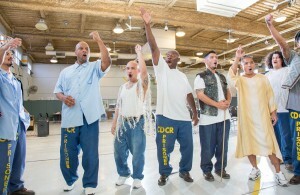 Workshops are facilitated by Suraya Keating, Shakespeare for Social Justice Director, who has over a decade of experience teaching at San Quentin and other programs; Lynn Baker-Nauman, long-time Shakespeare for Social Justice Lead Teacher; and Lesley Currier, founder of Shakespeare for Social Justice.